Let's have a quick chat about fennel. I used to strongly dislike it, but then changed my mind and now love it in salads, soups, and even omelets! When I was in Seattle, I had a salad made with zucchini, pesto and pickled fennel at Delancey and loved the texture and flavor of pickled fennel. It was bright, crunchy, and not as licorice'y as it tends to be normally. 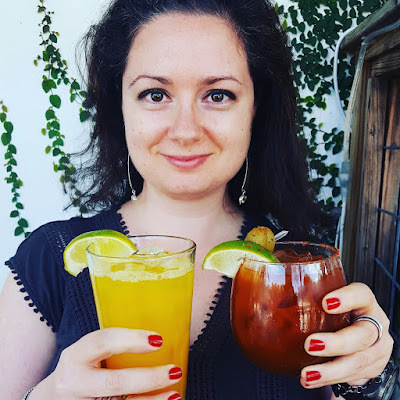 When I came back to DC, I decided to make my own version of pickled fennel by reusing a pickling solution from store-bought vegetables I had in the fridge. 1. Fill a glass jar with sliced fennel and a pinch of red pepper flakes. 2. In a small pot bring to a simmer pickling liquid (you'll want enough to fill the jar of fennel). 3. Pour the simmering pickling liquid over the fennel and allow to cool before putting the jar in the refrigerator. 4. Allow a few days for the fennel to pickle. Use it in salads, sandwiches, or as a quick snack. 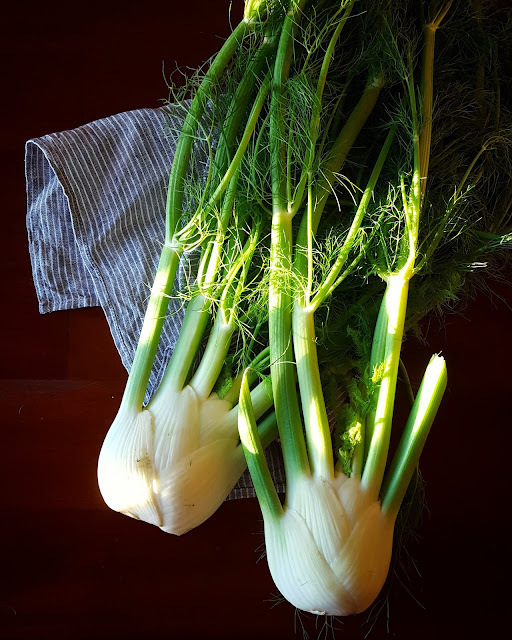 How do you like to eat fennel?